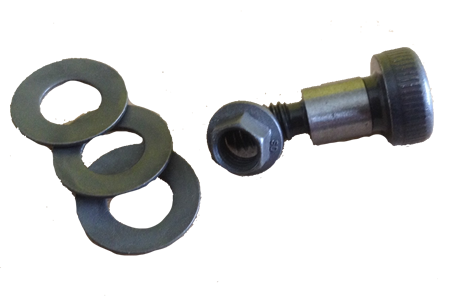 Replacement rotor hardware kit for Stasis/Alcon semi-floating BBK. 10 slot. Be sure to measure your existing hardware to ensure this is the right kit. This is NOT for all Stasis kits. This was typically used in a non-field serviceable kit. Tighten bolts to 120in/lbs. Nuts are self-locking but we recommend a drop of red-Loctite on each. 10 x Grade 12.9 M6 Black Oxide shoulder bolts.